We’ve been having some more windy days with small sticks falling into our yard. So I took a piece of scrap board and drilled some holes into it and made a little forest building toy. 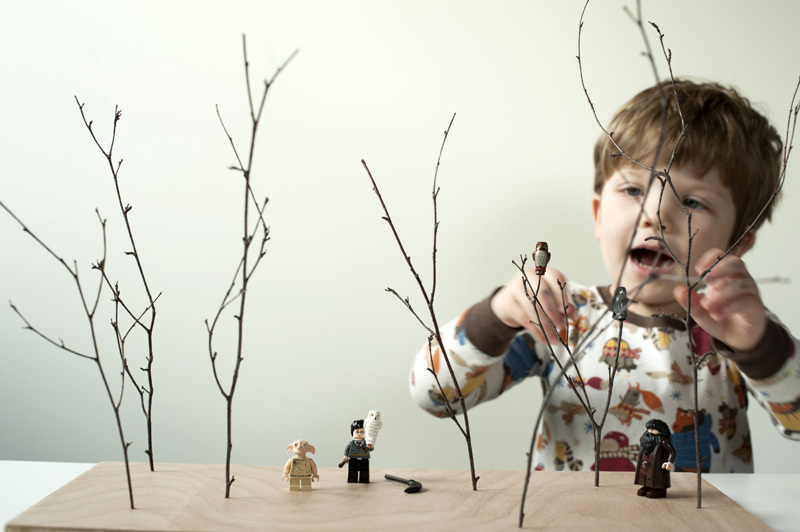 It was fun sticking the branches in to build the forest, but it was even more exciting when my son turned it into a scene for his Lego figures. It might also be a cute forest for the paper city figures. As always, genius + magic. I swear, you amaze me more every day with your so-simple yet wonderful ideas! I must do this! I LOVE the idea! Always so magical...thanks for sharing! Eerily perfect for the Star Wars lefo figurines. Love it! i like this. could also prove to be educational as seasons change this little lego people scene can morph with the weather! Love it! But I'm afraid my two yr old demolition man would enjoy breaking the sticks more than he would building with them. Maybe when he turns twenty. This is so cool. I just found your blog and don't know how I've been living without it all this time. I love this!! This will make a perfect background for some projects that I have in mind! Thank you! genius. I wish I was a child! Simple and beautiful. What a good idea! I can just say wow. So simple and so beautiful. I`ll do that this week! seriously. what do you eat that makes your mind work like this? genius! I am so stealing this idea. found your blog the other day, i am in awe of your simple creations. what lucky children you have, i can't wait to see what else your mind is working on! genius!! I agree with the others! Thanks everybody! Yes, this took literally 5 minutes to make. It's very simple. 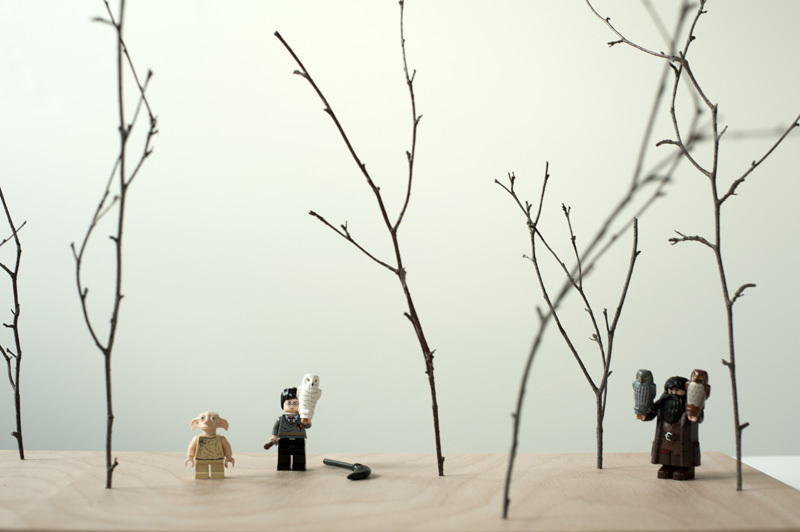 I love the effect that the natural trees (sticks) have on the toy Lego figures, and the figures also add a nice scale to the woods. It sure is a cheap Lego expansion kit! daisy - Yes, I was thinking the same thing. It will be fun to gather branches throughout the different seasons. I actually used a beautiful flowering twig for one of the potted trees in my dollhouse for new photos that will be in my book. It would definitely look great for this forest as well. awwww! how sweet! + cool lego figures. The simplest ideas really are the best, aren't they? What a brilliant idea! I love the idea of using it with the Harry Potter Legos (a gift from Santa this year). This is so great, Joel. I'm going to take this to our preschool and let the kids drill the holes with my new little hand drill! That second photo is just priceless... what a cutie! this is why i â˜¼ loved teaching first grade for 26 years. deer on cloth... nearly completed. so nice and simple and great! cristina - Wow, the deer on cloth looks awesome! What a cool project. Also, love your amazing fireplace! Such a great photo. fabulous. I am going to the garage right now to get a board and the drill. my 5-year is going to love it. Finally, something else to do with that ever-growing collection of sticks we have. seriously, you rock. This is freakin awesome. All of this is. The cheerios' box into the little doll house, the puppet from cardboard - how cool is that. I keep thinking, "Why didn't I think of something like that!" Simple, but not simple, you know (I tend to NOT make sense). So glad I found your blog. I love the way you create those lovely simple things. You never run out of ideas (and good ones...!)! Never knew there was Harry Potter Lego. As cool as your new project! I've been following your blog. It is inspiring! Do you sell your toys? I love te elephant puzzle, I'd love to purchase one if you sell them. I can't wait to purchase your book. t.m. - So far, there is one company (Made in Me, from London) that is producing some of my wooden toys. They will be available soon. Hopefully sometime in the near future I will also be able to have the elephant puzzles produced. I'll let everyone know for sure! Thanks for the interest! I love the aesthetic of this. I find bare winter trees very inspiring. Very nice, I like your ideas! Like the idea very much!!! And beautiful pictures, once again! What a simplistic and wonderful idea. Awesome! I'm thinking Robin Hood in the forest! This is so beautiful. Brilliant! Such a simple and beautiful idea! Thank you so much for your brilliant ideas, your blog is just so inspiring. Amber - Yes, It's definitely a struggle to keep things clean and somewhat organized. My technique is to have lots of shelves and drawers against every wall, so I can have empty space in center of the room. So far it's working pretty well. Genio, eres un genio Joel!!! This is so fun, Joel! Very simple, but just imagine the things that could be done with it, from child play to table centerpiece! Viola! Thanks. Wow, Joel...your less-is-more-creativity is sÃ³ inspiring. Beautiful! Amazing Joel. Such a fresh, simple, and genius idea. Absolutely love it. Just stumbled on your blog today and I'm so happy to have found you. I run in the sewing blog circle so I enjoy jumping out to other artistic groups :). This is a lovely idea - I can imagine children in my classroom engaging with it. 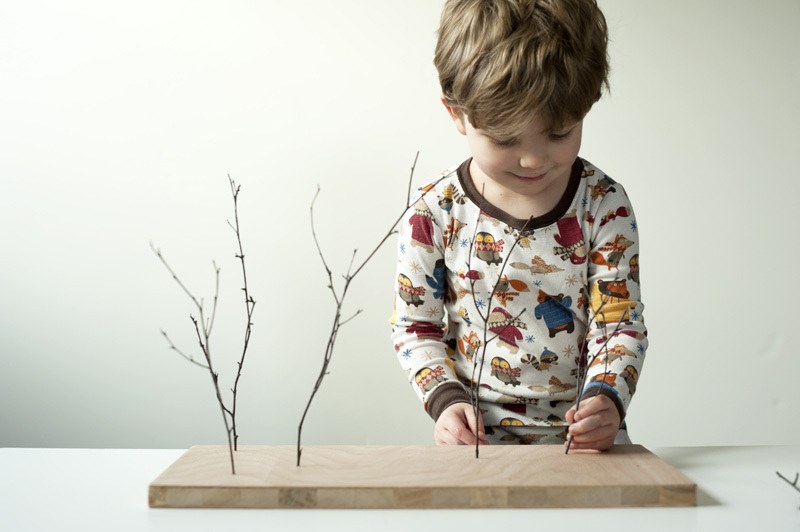 We often use sticks with the sand/dirt/mud table and the children automatically stand them up like trees - it would be interesting to try this as a tool. Same with the flower building toy! I think I will definitely be building something like this for the classroom. Thank you! Hi Joel, I tried this with my son. He loved it! 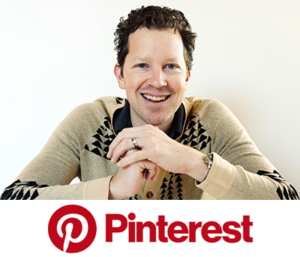 Maybe you can replace the link to my blog in the sidebar by a link to this post? Thanks! Oontje - Ooh, your forest is wonderful! I love the toys too. And I'm very proud that the idea got your kids outside for an hour. Sometimes my kids prefer to stay inside too, but fresh air is good! Ah, so you got what I said, even though google translate produced a very poor translation. And in the end, they played outside for more than four hours. A success! Thanks. That is a cool forest! But his shirt is even cooler!! Where is it from? Oontje - Four hours, Awesome! Anonymous - I know, I love that print! They're actually just some Old Navy pajamas. Great print design though. 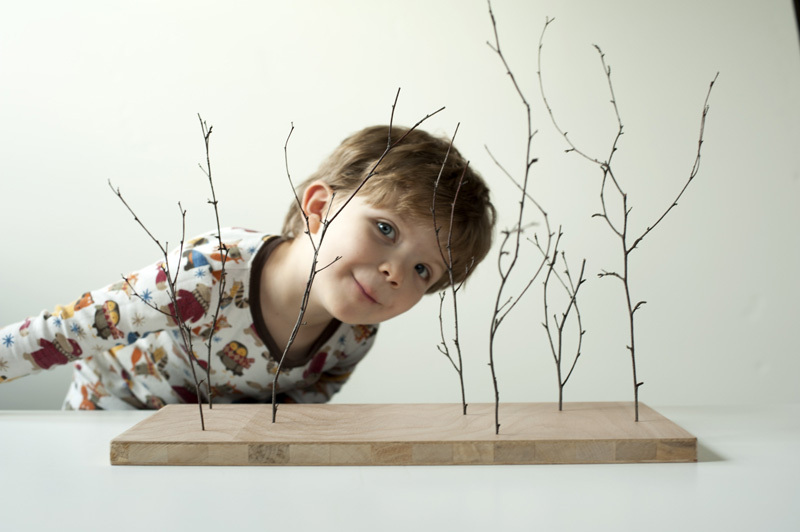 Hi Joel (I've written about your wonderful ideas a couple of times on Babyccino but I just had to let you know that my son and I made this today and it was so fun and is such a great lovely thing to keep and update the branches / trees with the seasons (especially for my stick-collecting son!). What fun! Thank you so much for your always-inspiring ideas! Mo p.s. I'll happily send you a pic but please note I still have issues with your home being far better on 'light' than mine (and also pics were taken before bedtime!). Fantastic blog and I love this idea. We had a go using a peg board and although ours turned into a fairy garden (http://a-little-crafty.blogspot.com.au/2013/07/peg-board-fairy-garden.html) it was certainly easy and great fun.